We are a small friendly club that started back in 1975 in the North West Kent village of Kemsing. 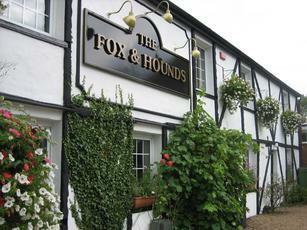 It was one night sitting in the Kemsing pub The Fox and Hounds, that our founding club members decided on the name Fox. Back then the club ground was the Antony Roper school in the nearby village of Eynsford. From these humble beginnings the club grew, and in 1996 we moved to its current location of St. Michael's School in the picturesque village of Otford. We are now firmly established in this village, offering entertainment in both the St Michaels School and Otford fetes each year with our have-a-go stands. Our competitive league team won first place in the Mid Kent League in 2006 and came second last year. And if you prefer to shoot competitively only at St Michaels, then we host three of our own tournaments at this venue each year. Our summer practice days are on a Sunday from 10.00am, on a Saturday afternoon and also on Wednesday evenings from 5.30pm onwards at St Michaels School. In the winter we shoot indoors each Sunday from 10.00am at The New School at West Heath in Sevenoaks. We compete in the Mid Kent League, and are affiliated to GNAS, SCAS and KAA. In recent years we have made great strides in strengthening our coaching team which now numbers 6 and this has attracted archers to come to the club for coaching. This includes Tania Nadarajah in her bid to secure a place in the GB archery team for the Rio paralympics.